Use fleece & fleece bags to protect tender plants against December frosts. Look through catalogues and plan and choose varieties of seeds and seed potatoes for sowing in the New Year. 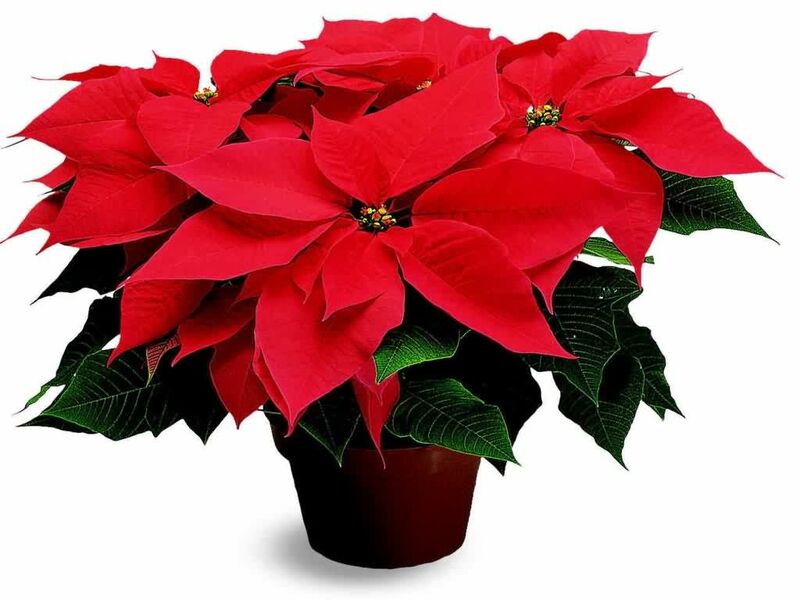 Position poinsettias in a bright position away from draughts & heaters & insert a slow release feed capsule into soil which will supply necessary nutrients when you water. Keep indoor cyclamen in a cool, bright position to prolong flowering & remove dead stems by gently twisting at the base. Remember to feed the birds with high energy foods such as fat balls, suet blocks and sunflower seeds & fill up bird baths. Clean out & disinfect bird feeders to prevent disease. Put up nest boxes ready for the spring. Use ‘patio magic’ to clean moss & algae from slippery paths, steps & decking & a block paving brush to get between slabs. Reduce risk of damage to outdoor pots by improving drainage & raising them on pot feet. Pots can also be wrapped in bubble wrap to help protect them during December. Use holly, ivy, box, skimmia, eucalyptus and other winter interest plants to create wreathes & christmas arrangements. Plant bare root native hedging before ground becomes frozen. Remember even cut christmas trees need water to prolong their life indoors, use a water holding stand or place in a bucket. Brighten up pots or containers near the front door to welcome guests, with pansies, violas or dwarf cyclamen. Put down traps or bait for mice & rats as they try to find warmth & food in sheds & garages.